Why do earbuds stop working is the question we all ask, for a reason or another, only when we really need them to be working. Nobody has earbuds issues in general. Somehow we have this issue when we are starting a jog, we have a long trip to do or other situations in which we desperately need them. And we always swear we will replace them with better quality ones. In this article, we will talk about wire earbuds that stop working. Wireless is a different story, a bit more complicated and usually, you will find it hard to troubleshoot. As with other products, negligent use is the main cause for this. 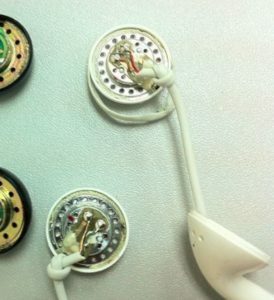 Yes, product reliability is still a major factor but usually, you damage your earbuds in minor incidents. Either you are doing this intentionally or unintentionally, this is the main cause of earbuds damage. I had this happen with my earbuds many times and the result tends to be the same every time. Pulling the cord firmly to remove the earbuds from the sound source. It is recommended you pull the jack carefully. Unintentionally getting the cord stuck in something and making a sudden move without noticing. This also tends to happen quite a lot. Running with earbuds on while the cord is dangling. In my case I always get my hand stuck in the cable and if I don’t pay attention sometimes I firmly pull it. While this is not a major problem in itself, it can lead to damage from time to time. Having such knots you will find that sometimes the cable might get stuck in something much easier. A firm pull and gone are your headphones. If the quality of the cable is not really good, certain knots can force those cables. Such situations can lead to total or partial failure. This situation also tends to occur quite often and usually, it leads to permanent failure. Earbuds tend to be used in office situations more and more. Using an office chair on wheels makes it more likely to unintentionally roll over cables or even dropped headphones. Not using a protective case, makes it easier to drop and step over your earbuds. The same situation can occur when you just don’t pay attention and you drop them from the table. These are aspects that are related to the general reliability of the earbuds and even quality. Not all earpieces are waterproof. Before you buy, make sure you read about these aspects. A trusted manufacturer is recommended for such claims. Dust is also a factor. Dust can go into the earbuds, or sometimes it can go into the sound source plug. This is the case with smartphones, which are usually used in all kinds of environments. I can recommend to use a lighter and check such aspects before you go and replace your headphones. Heavy usage is another aspect to evaluate before you buy the earbuds. If you think you are a heavy user buy a heavy duty earbud. The research will be worth it. Yes, the magic one. This is the most frequent problem with earpieces. Whether it’s earbuds or headphones, or just the classic earphones it has probably happened to all of us at some point. The main reason is that somewhere the cable soldering has broken. Although not visible to the naked eye, the cable will appear fine. There are 2 areas where this problem will appear. 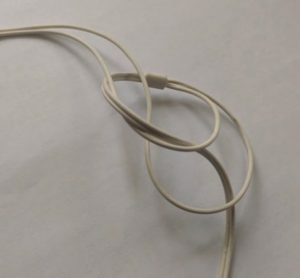 One is at the jack and one is where the cable connects to the earbud. To check, gently move the cable close to the jack and to the earbud. Play with them, each at once. If it seems that sometimes the earbuds start playing sound then you have found the area where your problem is. Gently open the cable area near the earbud. You will have to do some cable cutting. This is not a standard job as there are just too many types of earbuds. Just like in the picture, check if all the cables are connected to the actual earpiece. Reconnect where there is a problem. Soldering would be great but using hot glue bars will also be ok. If you think the problem is in the area of the jack, you will have to take the same approach. If you are lucky, the jack itself might have a screwed cover. Gently unscrew the jack to get to the cables, if the jack has such a feature. Either that or just buy a generic jack with a screw and replace the old one. This is what I personally recommend. Again, soldering might be required, but the hot glue fix, if done correctly, will be just as good. This is quite an unlucky situation. It can be the situation in which the above problem is affecting both the left and right headphone. Besides that, there are 2 other possibilities. Most often, there will be a problem over the course of the cable. Not necessarily near the jack, but not necessarily near the earbud itself. If you have a remote area, sometimes the issue might be there. To solve this issue you have to do more or less the same thing as above. Open the area where you think the problem is. Reconnect the cables next to each other as well as you can, and then use some tape to cover the area. Just as a bit of warning this is harder to diagnose, and even if you fix it, they might not last very long. The least often situation is that where the jack connections are defective. It’s those black strips you see on jack cables. 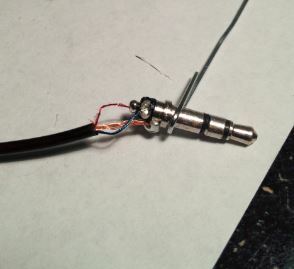 I do admit I haven’t seen this happening and to solve it, either replace the jack or buy new earbuds. Please take a good look along and also gently shake it. The moment you find a spot in which you start to hear a sound or just distortions, this should be the spot to check. There are 2 ways of approaching this. The first one would be to cut the cables and reattach them. You will not find this hard to do, but I don’t know if your earbuds will be resistant enough later. If you really want to repair them, I would recommend buying a new cable and a new jack and replace them all together. 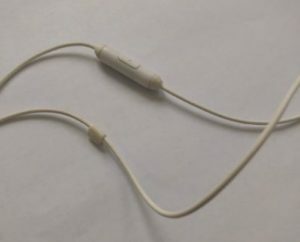 Just keep the earbuds and connect them to the new parts. This is the third situation in which you could be. It is also the most disappointing one. Sometimes when this happens you might take it out on the vendor or the manufacturer. We do understand how it feels, but most vendors out there don’t want to sell broken headphones. To solve such a situation I would recommend you contact the shop you bought it from. If it’s a bigger manufacturer, they might have service independent from the shop that sold it to you. You can also contact them directly. Thing is not to panic. In most situations, you will get a product swap. To avoid such situations or just to know you are in good hands, it’s a good thing to buy brand products Please advise that this is a percentage game. While we do think you will get better service from these brands, there are always those rare occurrences. For such situations, we recommend you follow these guidelines to make your situation easier. Go to the manufacturer and vendor warranty conditions. See if you can go through the manufacturer warranty directly. Sometimes this can be easier. If you think you are entitled to a product replacement, ask that from the warranty provider. If you are having difficulties try and reason with the service provider. Don’t get upset as it will only make your situation worse. When the damage is your fault and it happened very soon after the purchase, tell your vendor about it. Maybe he will give you a discount on a new pair. 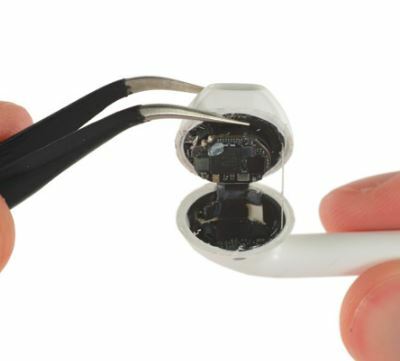 It’s not worth it to force the situation and send the earbuds in for warranty if you caused the damage. We have another article on headphones and earbuds with extra long cord. Please check the article if it this aspect is interesting for you.